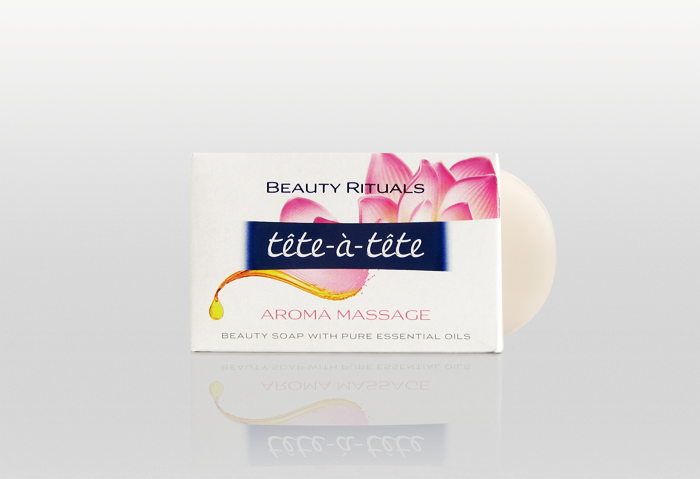 Re-designing of a series of Tete-a-tete soap packaging. 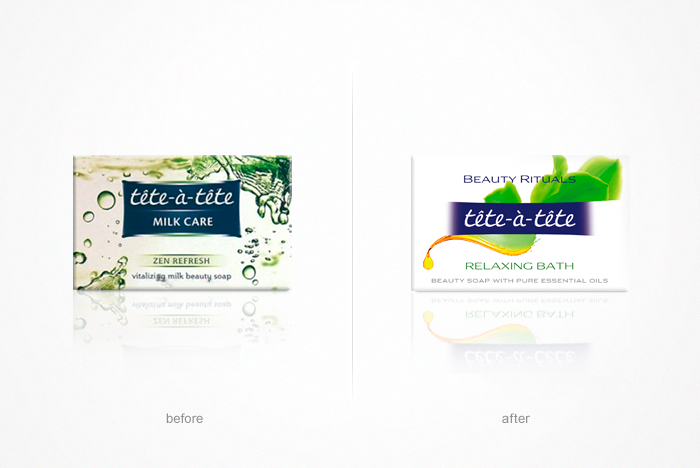 We decided to position the name of the series, Beauty Rituals, outside the common background of the logo for more clarity of perception. The elements we chose are a combination of exotic flowers and essential oil drops, in a diagonal composition. This introduced more 'air' and allowed for a lighter overall design.